Are you looking to learn more about advanced technology solutions in materials handling? On Thursday, October 19, after catching the nation-wide buzz around National Hydrogen & Fuel Cell Day, make sure to visit the Stars of Technology Event presented by NITCO, an unparalleled materials handling solutions provider for the New England region. Gain first-hand insight into what solutions make the most sense for your business and operations. Alongside robotics, automated systems, and other solutions, you’ll get a hands-on look at Nuvera® hydrogen fuel cell power solutions. It all takes place at the Integrated Warehouse Solutions Center (IWSC) in Shrewsbury, Massachusetts (see NITCO’s IWSC video). 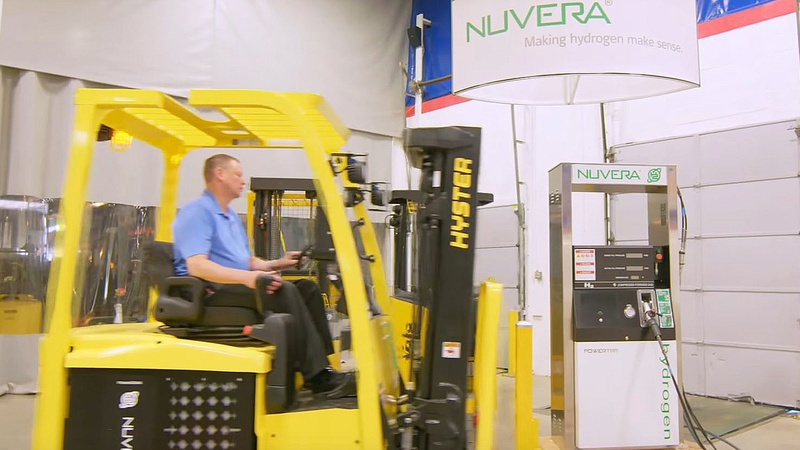 NITCO is proud to help recognize National Hydrogen & Fuel Cell Day with Nuvera® fast-fueled power for electric lift trucks.